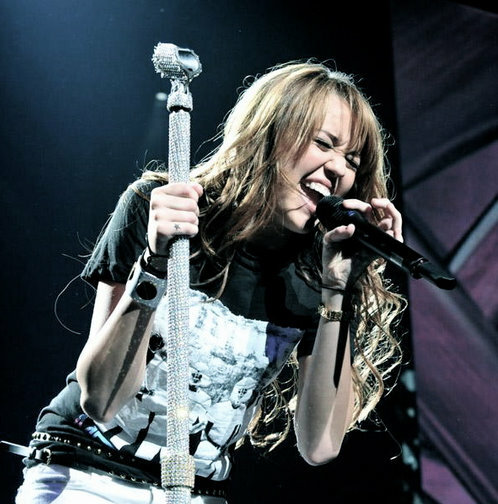 Should Hollyword Records & Disney Force Miley Cyrus Back On Twitter? As you all know, Miley Cyrus (formally Hannah Montana) deleted her Twitter profile because her boyfriend said so. I understand that Miley wants her privacy and is trying to stay out of the tabloids. But I think with the removal of her Twitter profile, there also went a huge business opportunity for her record label, and the Disney franchise. I think that her record label, Hollywood Records, and perhaps even Disney, should probably have a strong heart to heart with Ms. Cyrus about her decision to delete her Twitter profile. Miley had over 2.1 millions followers on Twitter, and at any given moment, could announce new singles, new record release dates, and a myriad of other relevant (and potentially profitable) information to all the Miley’s fans – literally with one 30 second update on Twitter. I think it was a huge and costly error for her to do that, and not sure if Hollywood Records has any say in the matter, but certainly the financial / business implications of that decision should be discussed. Just adding my opinion… that’s all.